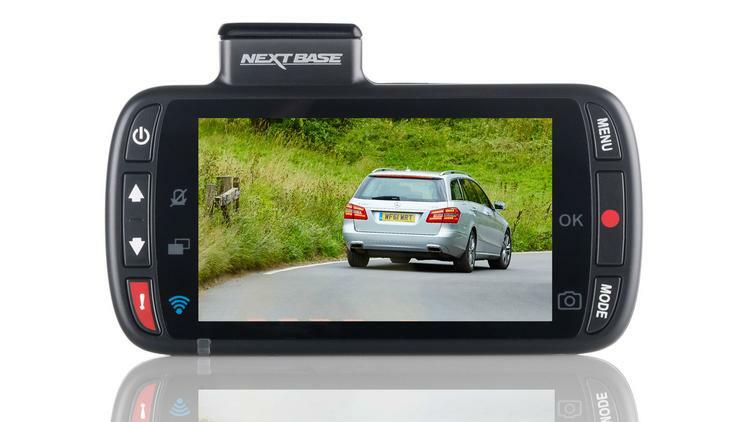 The Nextbase 312GW, a smart-looking dash cam, which does a lot well, and only a little badly. It has a 2.7in screen that’s flanked by well-labelled buttons which makes it easy to use. 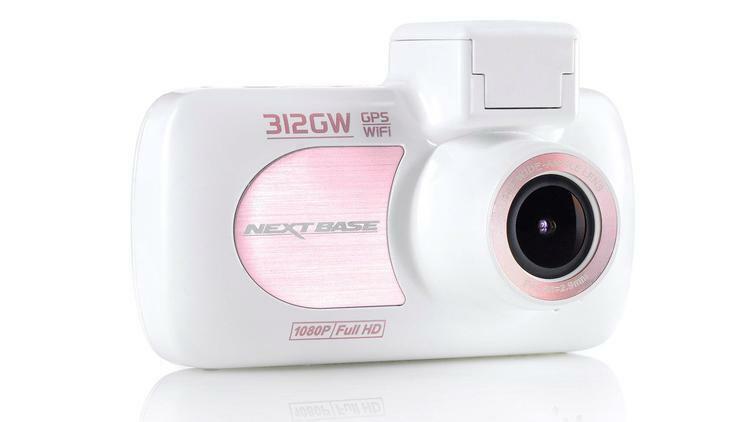 You can buy the 312GW for £99.99 from Nextbase, but it’s £89.99 from Amazon or your local Halfords. On the dash cam lists of several insurers, some of which will give you a bigger discount if you tell them the make and model when you take out (or renew) the policy. Swiftcover offers a 12.5 percent discount for Nextbase cameras – it only offers 10 percent for other makes. The Asus Reco Classic has an unusual portrait design which makes it a little unwieldy in certain cars. The 312GW, meanwhile, adopts the standard landscape orientation which means it sits a bit higher in the car and doesn’t impede the passenger’s view. The rear-mounted buttons aren’t as easy to use if you mount the camera immediately behind you review-view mirror, but then again, you won’t see the screen easily if you do that. 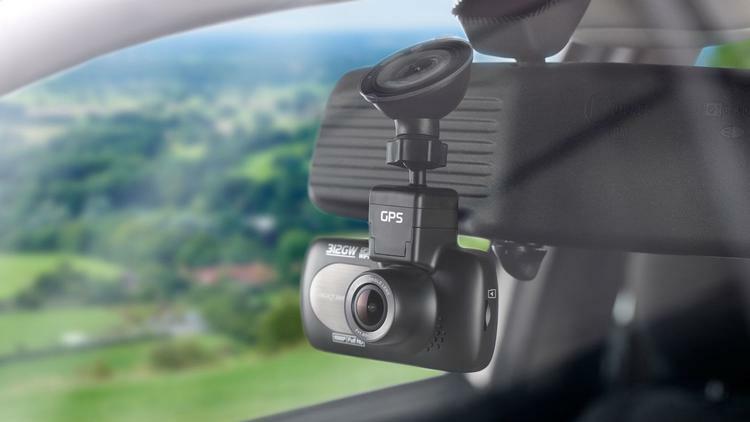 Another reason to mount it so you can see it is that it slides backwards off its magnetic mount, leaving the power cable attached to the GPS receiver built into the windscreen suction mount. This makes it so easy to quickly remove it and pop it in your glovebox when you park without fiddling around with cables or having to readjust the angle when you reattach it. The same can’t be said about the Asus – it’s removable, but it’s not nearly as easy. The 312GW comes preset with the most common settings, so most people shouldn’t need to adjust anything – even the date and time should be correct because it’s part of the GPS data, but you may need to adjust for British Summer Time. What you might want to change is whether or not your speed is stamped on the video. Time, date, location and even your number plate can all be there, but if you’re prone to a heavy right foot, it’s probably best not to incriminate yourself by recording excessive speed on your dash cam. There’s built-in Wi-Fi, too, but as I’ve said in previous dash cam reviews, it’s an unnecessary extra. It sounds good to have, but the reality is that it isn’t as convenient as whipping the camera off its mount and connecting it to a PC. Nextbase claims that the 312GW is the world’s most connected dash cam, but it fails to live up to this promise. It says you can easily share the video with friends, family, your insurer or the police. But as videos exist only within the Nextbase app and aren’t part of your camera roll, all you can do is tap the upload button (and the video uploads only when the app is open). Videos are uploaded to Nextbase’s server and you then get a link that you can share. What it needs, of course, is a trim function so you can upload only the relevant section of a long video. This would make it faster all round: quicker to upload, quicker for the recipient to download and quicker to see the incident itself. You can take a screenshot (as you can in any app) so you’ve got a still of an incident which is then easy share, but the dated-looking app could be so much better. You enable Wi-Fi through the 312GW’s menu, and the screen displays the network name and the 12345678 password. Before you connect, you’ll have to install the free Nextbase Cam Viewer app (for iOS and Android). When connected, you see a live view on your phone’s screen along with ugly folders which you can tap to see either videos on the camera or those stored on your phone. To download a video, you tap the download button, then select the video you want and tap Done. Selecting more than one at a time is unwise: a single 187MB file (one 2-minute loop) took 2 minutes and 44 seconds to download to our iPhone 6S. When connecting the camera to a PC, the same transfer took less than 20 seconds, and it’s then much easier to take screengrabs or upload the video you YouTube or a file sharing service such as Dropbox, which allow you to give others a download link. While it doesn’t have a wide dynamic range option like the Asus Reco Classic, image quality from the 312GW is very good. It uses the same six-element lens as the much more expensive 512G, but lacks the polarising filter. In many situations, though, the 312GW equals the 512G’s quality, particularly in daylight. Whether sunny or in rain, you can almost always make out the registration plates of cars parked at the side of the road, or those on cars driving in the opposite direction. The 140-degree lens means you don’t have to be as close to the car in front to read its plate as some competitors with wider lenses, but you’re still not going to be able to read them at motorway cruising distances. At night quality is markedly reduced, and you’ll be lucky to make out any registrations at all. But the same goes for all dash cams, including the 512G and Asus. Audio recording isn’t quite as clear as on the Asus, but unless you need to hear your own breathing, it isn’t a reason to demote the 312GW on your shortlist. Despite the mediocre app and slow Wi-Fi transfer times, the Nextbase 312GW is an excellent all-round dash cam. It offers great-quality footage during the day, is easy to use and has a convenient magnetic mount that allows you to quickly remove and replace the camera without unplugging cables. As long as you don’t want your video recorded at 60 frames per second, it’s an excellent choice at this price.